Zack Garbow, Funeral Innovations’ co-founder, had the pleasure to speak at the ICCFA University in Memphis, Tennessee in mid July. 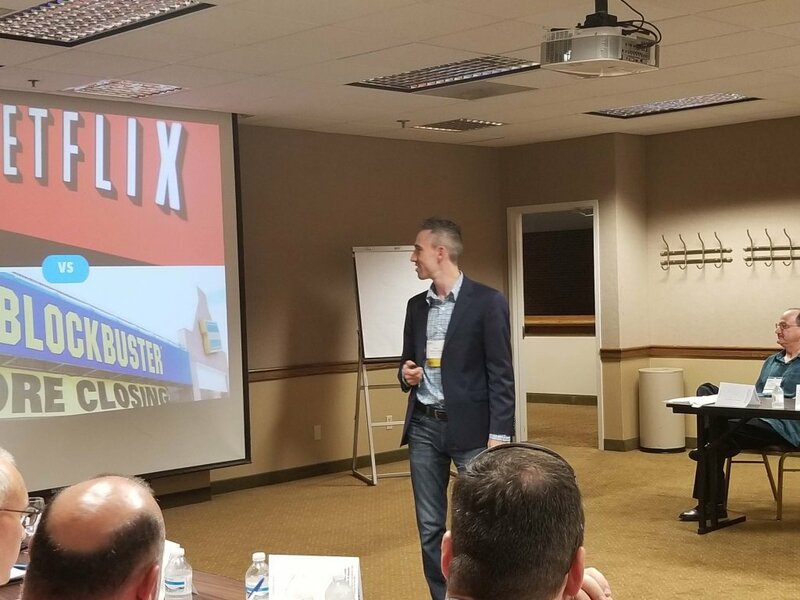 He spoke to both the Leadership and the Sales & Marketing colleges about the importance of a complete digital marketing strategy to generate a pipeline of leads and new business for funeral homes and cemeteries. Garbow explained how a change is taking place in our industry, with a recent shift to an “always online” world. The “always online” world has resulted in many firms in various industries growing wildly successful while others have withered away. He showed the divergent paths of Amazon vs Sears, Netflix vs Blockbuster, and Uber vs Taxis. The common thread among the winners? They adapted to the new “always online” world by providing personalized experiences, handled online at any time from anywhere. He then showed how funeral homes and cemeteries can do the same. Garbow further explained to the ICCFA University attendees how they must go beyond Facebook to get real business results online, since Facebook alone is not a platform for sales. He demonstrated how they could generate leads and nurture them over time using a combination of Facebook ads, Landing Pages, and Email Marketing. If you’re interested in how to generate and nurture leads online in order to grow business, we’re happy to schedule a live demo to show you what’s possible.